"The extent of County Farms in England has halved in the last 40 years, an investigation by Who Owns England can reveal. County Farms are farms owned by [public] Local Authorities and let out to young and first-time farmers, sometimes at below-market rents. They’re a vital ‘first rung on the farming ladder’ for newcomers to a sector that has high up-front capital costs: by providing the land and buildings, the public sector is helping get fresh blood into an industry where the average age of farmers is 60. In his widely-praised Oxford Farming Conference speech this January, Environment Secretary Michael Gove spoke about equipping the “next generation of farmers” to grow better-quality food and do more to protect the environment post-Brexit. But the ongoing sale of County Farms runs precisely counter to that: undermining prospects for the next generation of farmers, just like the housing crisis is damaging prospects for young adults more broadly. 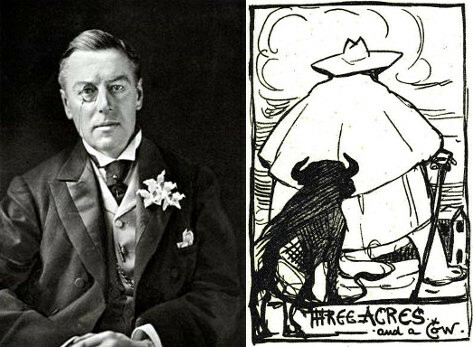 The origins of County Farms lie in the late-Victorian agricultural depression, during which widespread cries for land reform led radical Liberal MP Joseph Chamberlain (Theresa May’s political hero) to stand for election on the promise of “three acres and a cow” for landless tenant farmers. He went on to propose a solution whereby councils would buy up land and lease it out to small tenant farmers on cheap rents. A succession of government Acts in 1892, 1908 and 1925 created County Farms, sometimes called County Smallholdings." More from Guy Shrubsole's article here.